I am a list maker...to the extreme. I have even been known to make lists of lists I need to make. But I don't always stick to the list, especially when the list involves a trip to Target or Meijer. I rarely visit either place without buying something I never knew I "needed." Early this week I stopped in to Meijer, grocery list in hand (well, grocery list in phone and phone in hand, though I still make paper lists, too). I was in a hurry and the list was long since we have a house full of people coming in for the holiday weekend. You'd think that would have kept me on the straight and narrow. Yet, somehow, I ended up with a cart full of pre-specified groceries...and a new maxi dress. If you follow Red's Shoe Diaries regularly, you know this is not the first time I've augmented my wardrobe at the grocery store (with mixed results - you definitely get what you pay for). 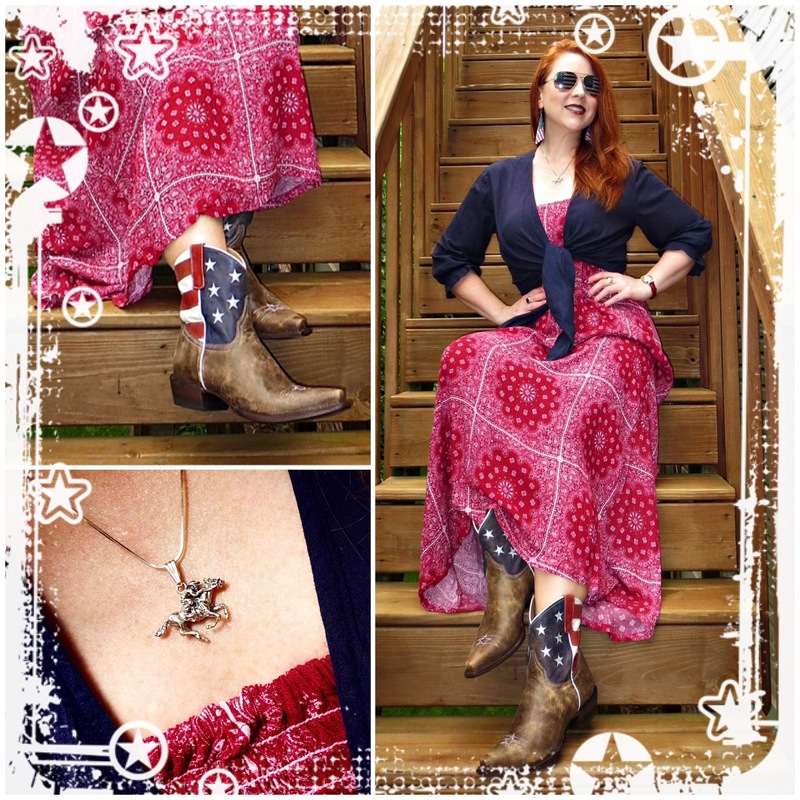 Not sure how well this particular twenty dollar dress will hold up, but I couldn't resist the red bandanna print and the opportunity it presented to wear these Roper boots yet again this week. 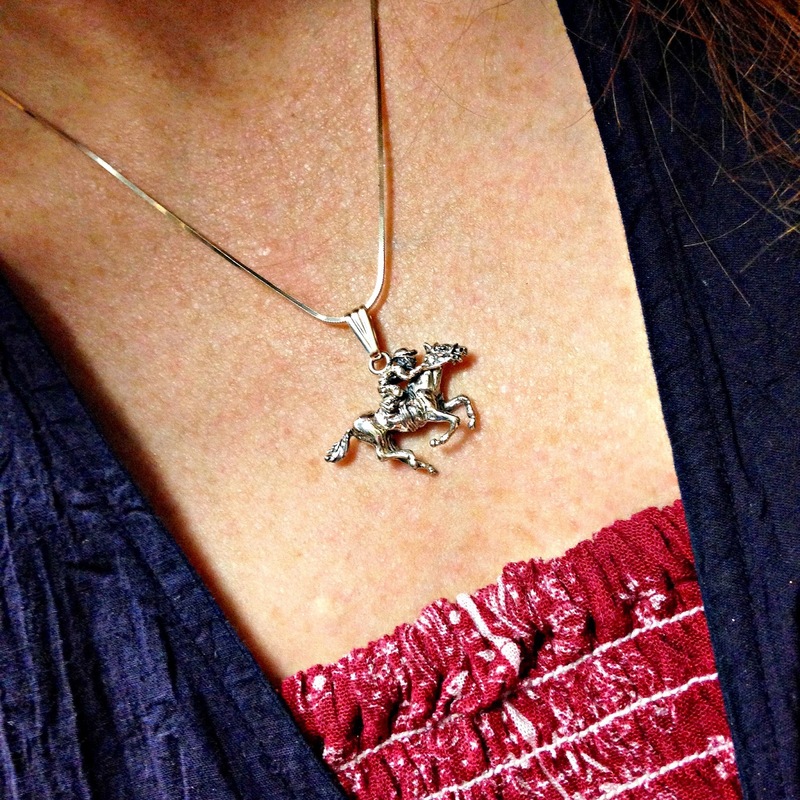 I also paired it with a sterling silver pendant I picked up at the Kentucky Derby in May. I've dubbed it my "American Pharoah necklace" in honor of the first American Triple Crown Winner since 1978. Whenever I wear it, I'll be reminded that I was lucky enough to see history in the making this year! 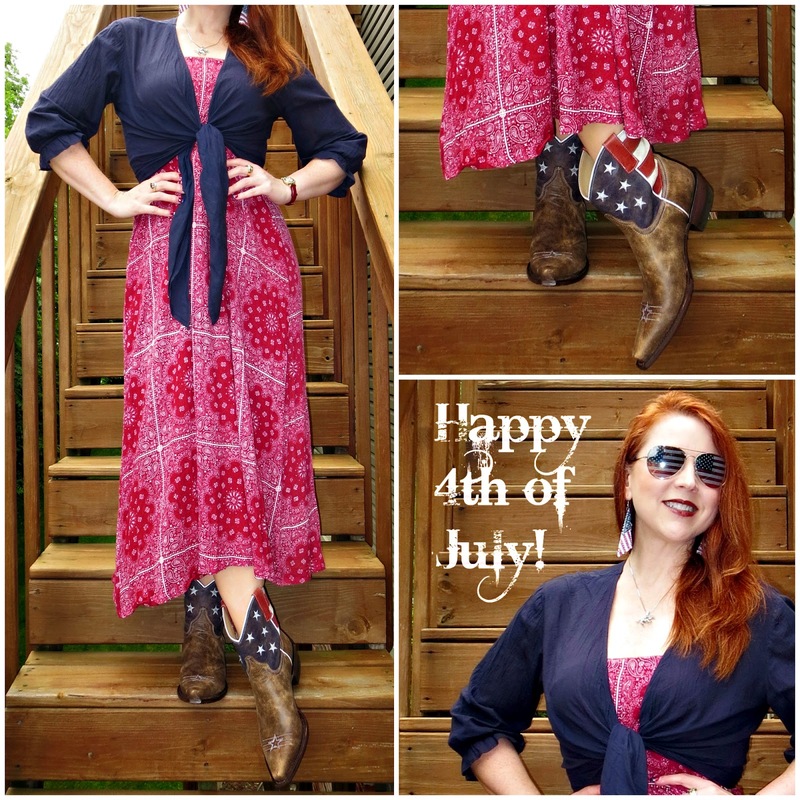 Of course, as much I love my boots, I'll be spending the weekend in flipflops as we celebrate Independence Day with friends, fireworks, barbecue, and boating. Will those flipflops fit the theme? You don't even have to ask... Happy 4th of July!